As a business owner, you are worried about two things: turning a profit and security. First and foremost, you are in business to make money. That is your top priority. But you also want to ensure that your investment, your business is well protected. This is why you have insurance. This is why you have installed a security system. This is why you have a security guard. But is it enough? Appearance: What many business owners don’t consider is how a new commercial fence can really improve the curb appeal of their facility, which can help you attract and retain customers. Privacy: Depending on your business, privacy may be one of your top priorities. If so, commercial fencing can help. Whether you need to protect the privacy of your clients or keep prying eyes away from your work, commercial fencing can do the trick. Security: Most importantly, commercial fencing is a cost-effective way to boost the security of your facility. 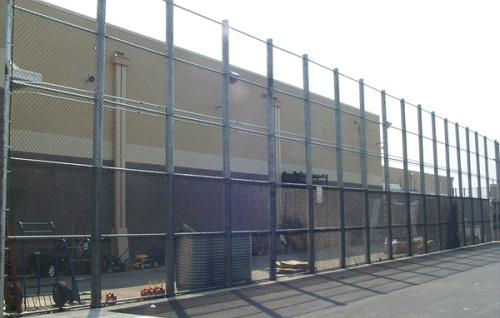 Hercules Fence, the company you know and love for their residential fencing also specializes in commercial fencing, improving the appearance, privacy, and, most importantly, security of your commercial facility. In fact, we can customize and install a commercial fence specifically designed to fit your business needs. Since 1955, Hercules Fence of Northern Virginia has been providing professional service and quality installation for both commercial and residential fences throughout the state. Our commercial fencing services include Chain Link Fences, Ornamental Fences, Crash Rated Barriers, and Anti-terrorism Cable. We pride ourselves in installing high quality fences at affordable prices. If you have any questions about the Benefits of Commercial Fencing in Northern Virginia, please contact Hercules Fence of Manassas, Virginia today by calling (703)551-2609 or visiting our website. Also, check out Hercules Fence of Manassas on Facebook,Twitter, Google+ and YouTube! This entry was posted on Thursday, October 17th, 2013 at 1:32 pm. Both comments and pings are currently closed.